A trip to Belize comes with relaxing vibes, lush rainforests, exquisite sunsets, and crystal Caribbean waters. The size of Belize sizes comparable to the state of Massachusetts, but don’t let the compact size fool you! There are so many activities within this seemingly small country. Swimmers, scuba divers, and snorkelers will all find their paradise along the beach and in the Belize Barrier Reef. Hikers and mountain bikers can tour the wide-open spaces; some may walk around the Mayan Ruins or even bike within the jungles. Any canoers or kayakers out there? The clear Caribbean water invites travelers from all over the world to come and enjoy their time while gliding the open ocean. Concerning accommodations, there are many options and vacation packages that will give you the best value for your Belize vacation plans. We have narrowed down the options for you to make planning a whole lot easier. Today, we are highlighting the best Belize resorts and luxury hotels to stay in. Our compilation provides a unique experience with every option and a variety of all-inclusive packages. Every traveler searching for the best Belize resorts and hotels will find their perfect paradise on this list. 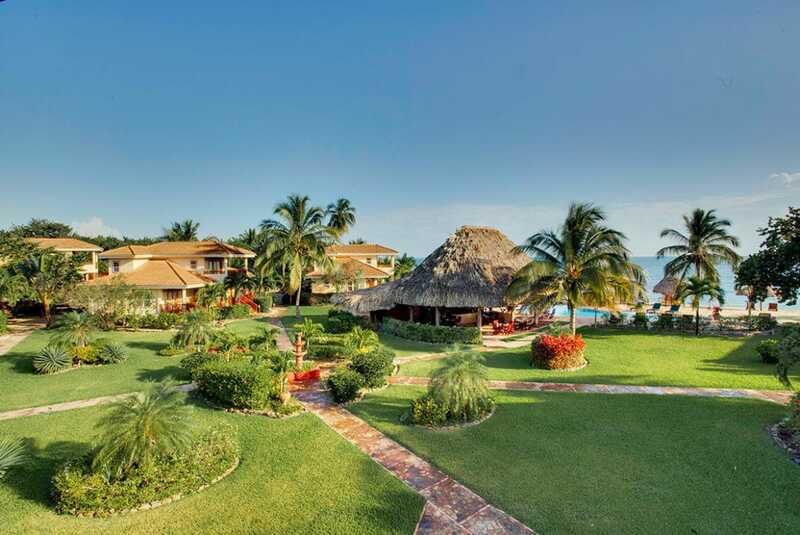 Chabil Mar ranks one of the best Placencia Belize resorts with an oceanfront view of the Caribbean Sea. This boutique-style resort located in the Stann Creek district holds a private beach and pier that allows guests to swim and lounge on the beach without disturbance. Enjoy your personal paradise with the glistening waters and the charming décor. Families who desire the space or privacy can opt to stay in one of the luxury Chabil Mar’s Villas. No matter if travelers stay in a Chabil Mar’s Villas or in one of the equally luxurious suites, they will feel welcomed immediately upon entrance into this Belize resort. The friendly staff members are all helpful while providing top of the line service to guests. Interestingly, Chabil Mar does not house a formal restaurant. Travelers are invited to dine wherever they would like, whether that’s decided to eat like the locals in Belize City or within resort grounds. The outstanding food prepared in the resort’s kitchen can be delivered to any location within the resort – your room, the beach, poolside, pick a place! From the Placencia Belize property itself to the convenient cuisine, a stay at Chabil Mar is a great idea for solo travelers, honeymooners, and families with young kids. Anyone interested in a little elegance? 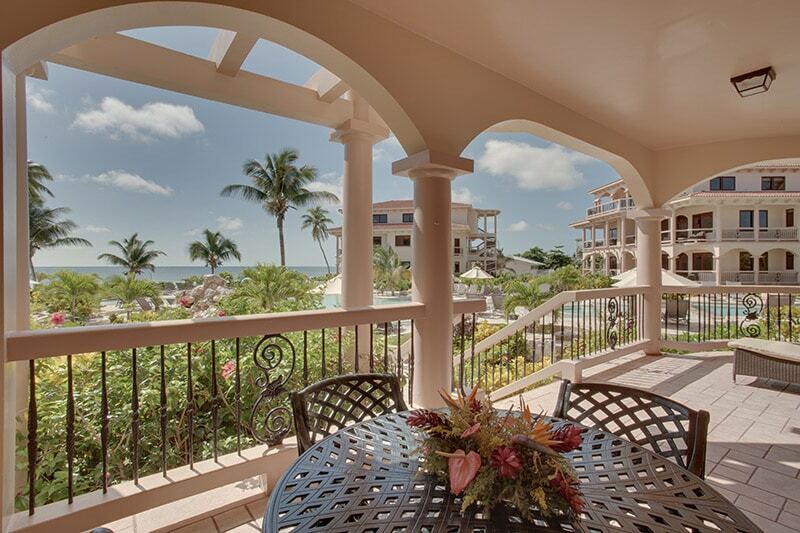 Victoria House Resort & Spa epitomizes relaxed elegance within a beachy resort. 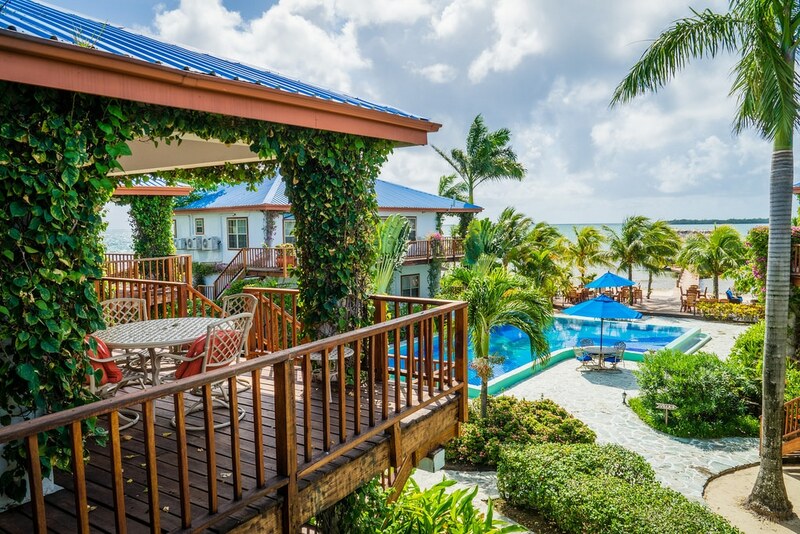 With beautifully manicured grounds and adventurous activities to participate in, all travelers will enjoy their stay at Victoria House Resort & Spa. Fish, sail, snorkel, or simply grab a book and read poolside on one of the incredibly comfortable lounge chairs around the resort. Guests can also swing on hammocks under the shade of a palm tree. As for food, there is a delicious restaurant on site that serves up creative dishes. The area for complimentary breakfast overlooks the water. Travelers can delight in the views during the delight of their morning meal. For dinner, make a reservation for a romantic, moonlit dinner. The property is close enough to town that travelers can also venture into local places for meals. Pro Tip: Rent a golf cart during your stay at Victoria House Resort & Spa. You will be happy with this decision. Cayo Espanto is located on its very own private island and offers one of the best all-inclusive resorts in Belize. If we could give an island resort over 5 stars, we would. The all-inclusive rates at Cayo Espanto include a customized menu of three meals a day AND a private butler service. Talk about pampered. Cayo Espanto provides a romantic paradise, ideal for newlyweds or couples celebrating an anniversary. While most people come to this Belize resort for relaxation, others choose to come for the exploration. In addition to this secluded and intimate environment, Cayo Espanto also offers adventure activities. These include snorkeling expeditions, bird watching tours, guided fly fishing tours, private cruises, and more. Nature lovers may want to check out Caye Caulker Forest Reserve by the island too. If that wasn’t enough already, guests also find the spa features a major hit at this resort. Come rejuvenate within the tropical surroundings at Cayo Espanto. 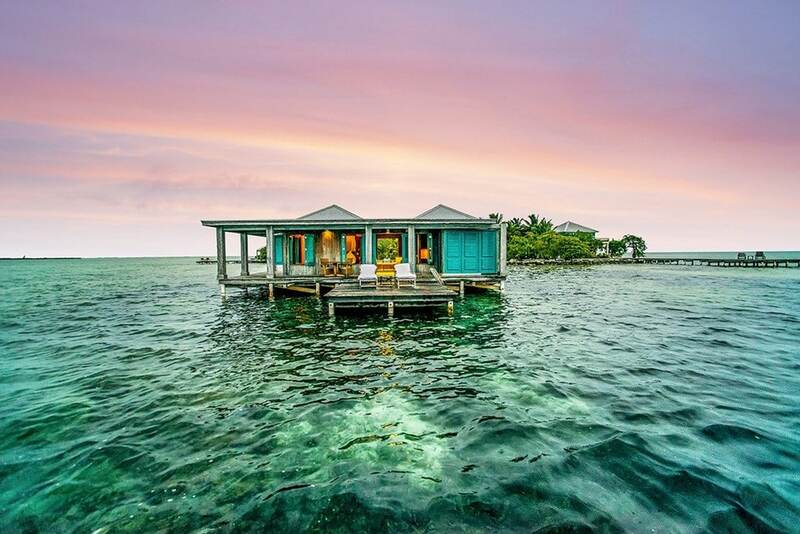 Cayo Espanto is certainly among the best Belize resorts for its privacy and natural beauty. Belizean Dreams takes friendly service to another level. Those who work at Belizean Dreams are so genuine in their interactions with guests that it might catch you off guard. Come feel at home in this inviting oasis! This Belize all-inclusive resort comes ideal for both adventure seekers and for those desiring rest. With a soothing blend of fancy yet casual-beachy vibes, we love the laid-back feels at Belizean Dreams. Belizean Dreams is also prepared to host your dream wedding. Under the sway of palm trees, couples can say “I do” on this beautiful resort property. Newlyweds and honeymooners will also enjoy their romantic stay at Belizean Dreams with the all-inclusive honeymoon package. If love is in the air, come to this resort. Belizean Dreams is among the best Belize resorts for couples. Guests will instantly feel at home at Turtle Inn. Bunk up in a spacious villa just steps away from the crashing waves. Crack your window and you can fall asleep to the calm roar of the ocean. Family friendly in many ways, Turtle Inn is a great destination for swimmers, snorkelers, scuba divers, and sun tanners. The warm, freshly baked homemade chocolate chip cookies are also a huge hit among the young, kiddo travelers. Who am I kidding, they are a big hit among the adults too. As for the rest of the food available at this top Belize resort, travelers are sure to enjoy all of the tasty dishes prepared at Turtle Inn. 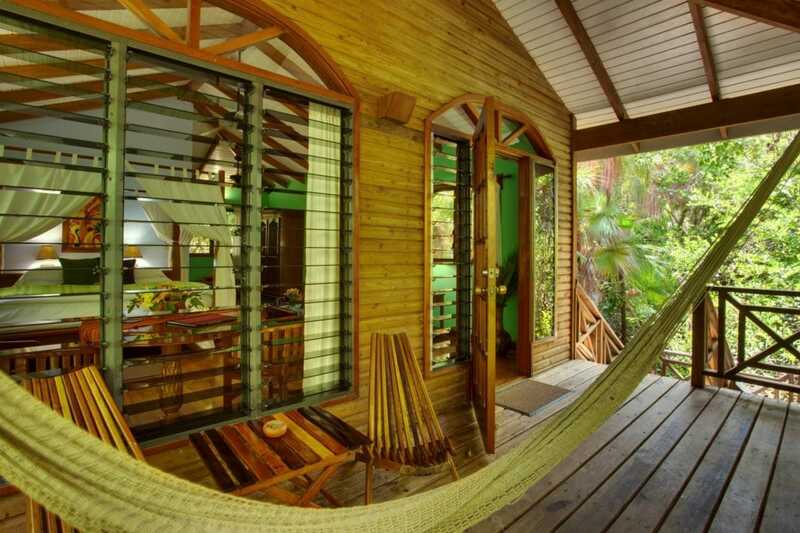 Located on the Southern coast of Belize resides Hamanasi Belize Resort. Hamanasi Adventure & Dive Resort is a quaint place off the beaten path loaded with tasty food, comfortable rooms, and adventure opportunities. Specifically, if you want to go scuba diving, then you must come here. Belize is one of the top dive destinations in the world, and Hamanasi is the ideal location to explore the underwater world. Hamanasi has professional dive staff members that will take you to the very best places to dive in Belize. The resort also offers a variety of classes for divers of all experience levels. Whether you are a beginner just learning how to dive, or are a pro diver, Hamanasi is eager for you to venture underwater with them. Coco Plum Island is a little slice of paradise and whether you are traveling solo, with your significant other, or with your entire family. The natural beauty surrounding Coco Plum Island will have you hooked immediately upon arrival. The photos cannot capture the true beauty of Coco Plum Island. Right beside South Water Caye, guests will find clean and crystal waters, comfortable cottages, and smiling staff members here. The place is a gem waiting to be discovered in Belize. And the sunset views! Don’t even get us started. Guests feel less like strangers, and more like family at El Pescador. Rooted in genuine hospitality, El Pescador cultivates an environment for travelers to feel cared for. After all, the resort is family owned and operated. Travelers will meet people from all over the world during your stay at El Pescador. Those of you who are particularly extroverted and thrive off of meeting new people will feel in their element at this resort. If you are a solo traveler, this also makes the great place for you to connect with others and make friends during your stay. Travelers staying at El Pescador can choose to stay within the comfortable standard lodging spaces or in a private villa. If you are big into fishing, then this resort is your place to stay. They even occasionally have packaged deals for fishing, diving, and other group adventures. We adore El Pescador for its family feel, fishing excursions, and naturally beautiful setting. 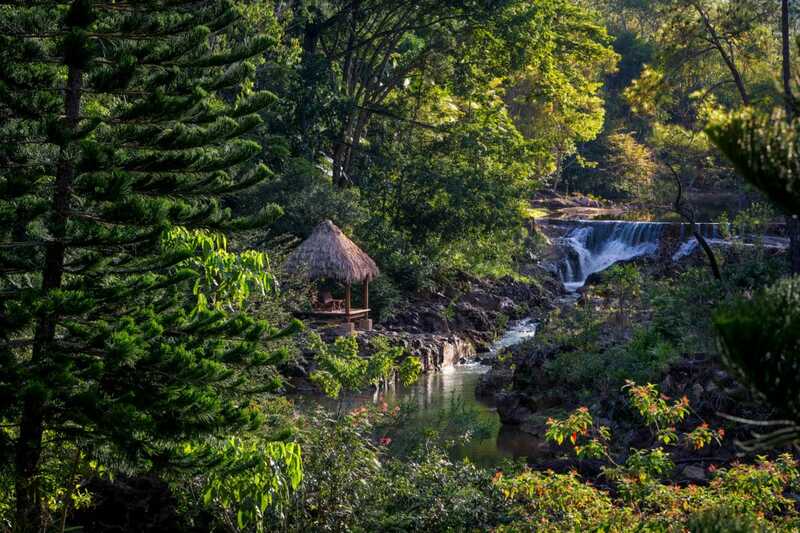 Once previously a private family hideaway, Blancaneaux Lodge now hosts a 20 room retreat with views of waterfalls and the jungle canopy. Tucked away in the Mountain Pine Ridge Reserve, guests experience the remote mountain while maintaining the comfort of the lodge. For the adventurous and fit, a cave sits nearby. The cave, Actun Tunichil Muknal, ranks one of the “Top 10 Sacred Caves of the World”. Also, Blancaneaux Lodge’s location in western Belize is known as the Cayo District. This area consists of many parks and ecological reserves. 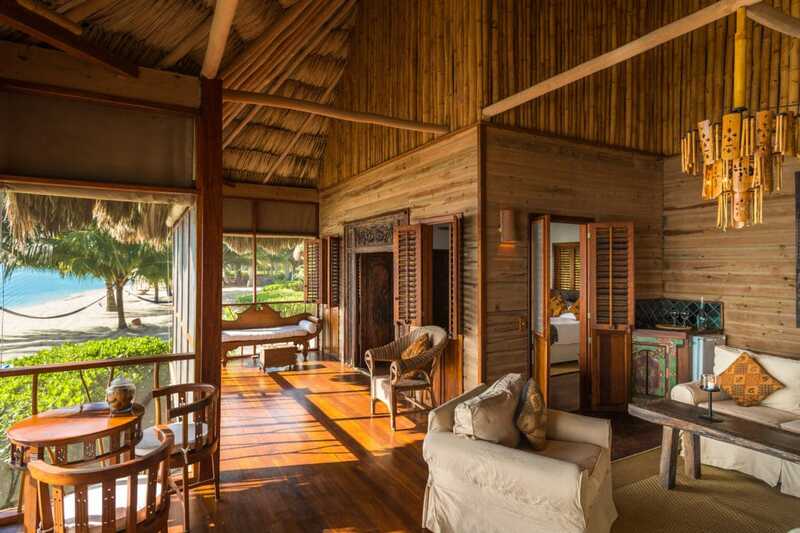 There are a multitude of complimentary experiences that come with being a guest, and we love how they have intertwined them with the environment around Blancaneaux Lodge. 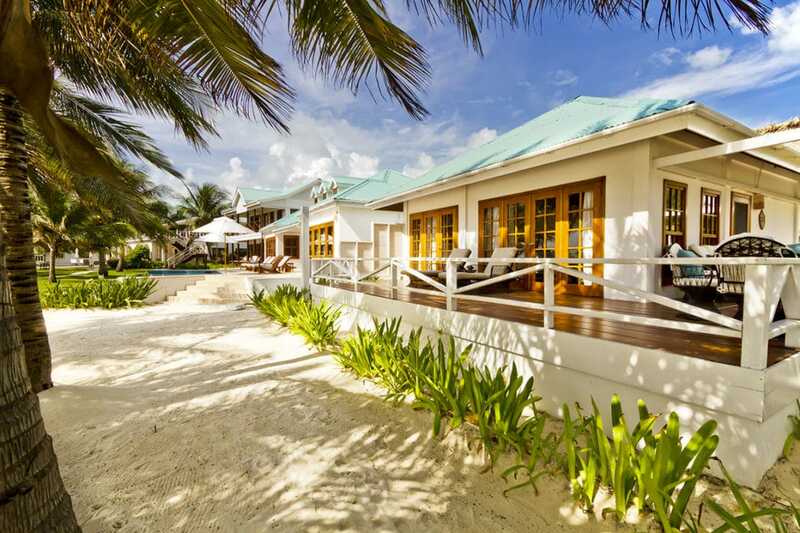 Nestled in Ambergris Caye Belize, travelers will find Coco beach. This luxury resort prides themselves heavily on being a romantic getaway. From Honeymoon Casitas to Pool View Villas, they definitely argue their case. Guests will amenities including private verandas, beachfront views, and a swim-up pool bar. Whether you are planning to get married or want to celebrate your marriage, Coco Beach Resorts Belize can provide for your wants and needs. So, How About a Stay in Belize? You’ll have a fantastic time during your stay at one of these top Belize resorts. 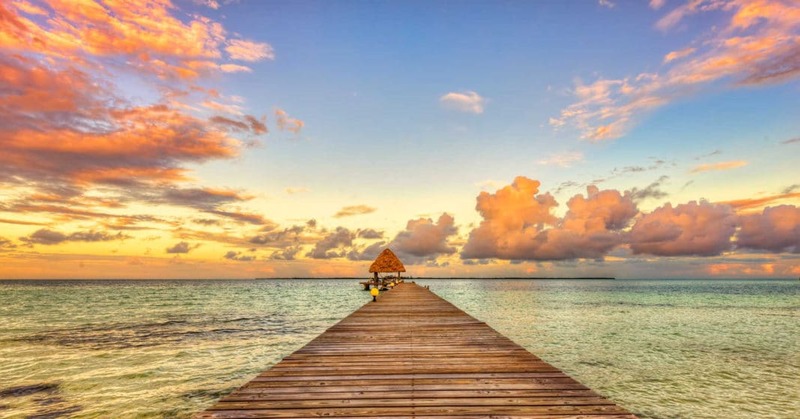 A visit to Belize guarantees a great swim, dive, snorkel, hike, bike, or moment to relax at any of these inclusive resorts and hotels. With so many adventurous activities to partake in, and so much tropical scenery to seek refuge in, an unforgettable trip awaits. We can’t wait to hear about your stay! 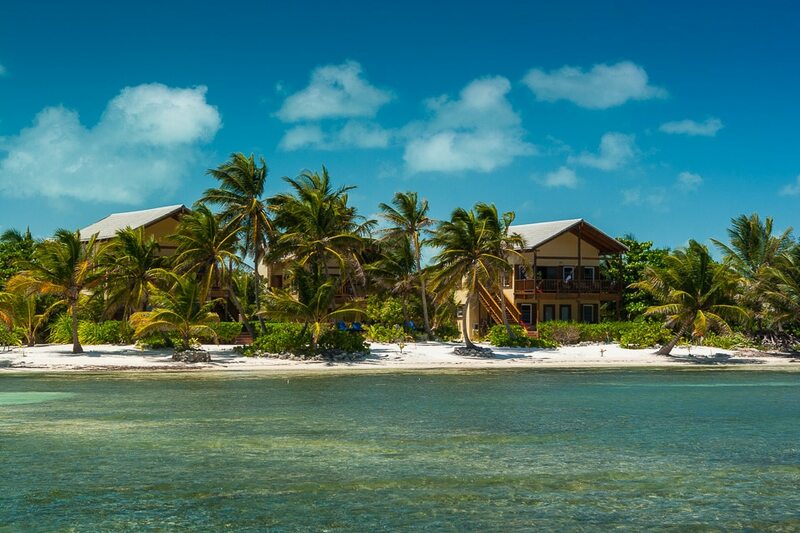 Your trip to one of these Belize beach resorts will surely exceed your expectations. Have you stayed at one of these resorts before? Have any tips for traveling to Belize? We would love to hear about it in the comments section below!